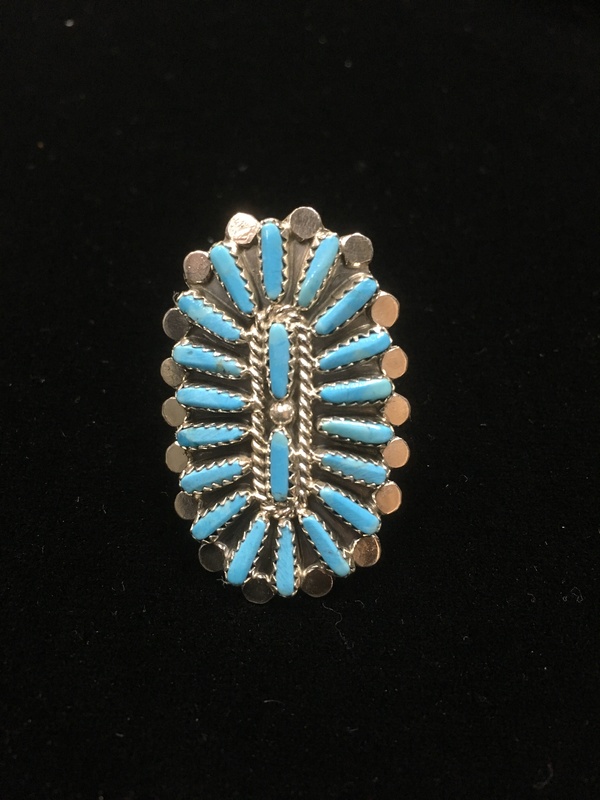 Everyone needs a statement ring in their Native American jewelry collection. This one is signed by “B” by a Navajo silversmith and shows expertise craftsmanship. This Sterling Silver ring is an interesting take on the classic Turquoise cluster ring. We can size this ring for you. 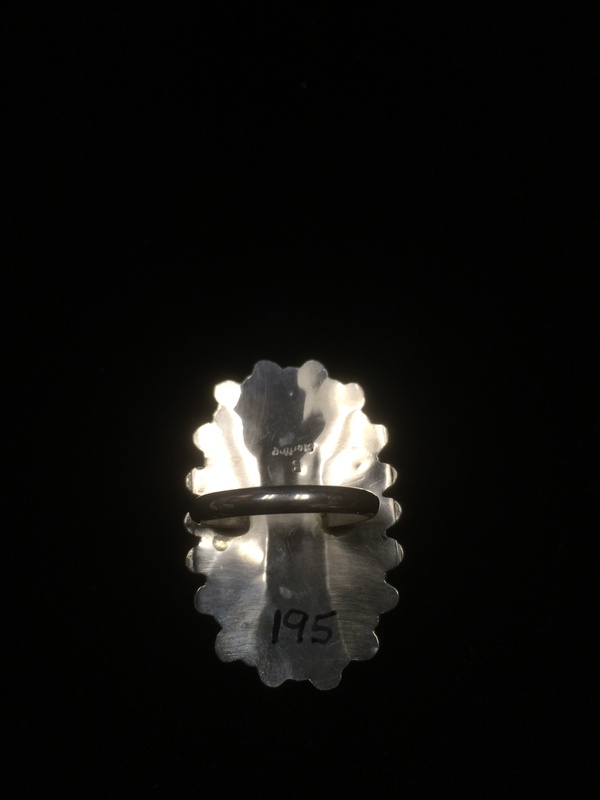 This ring is stamped “B” and “Sterling” on it. 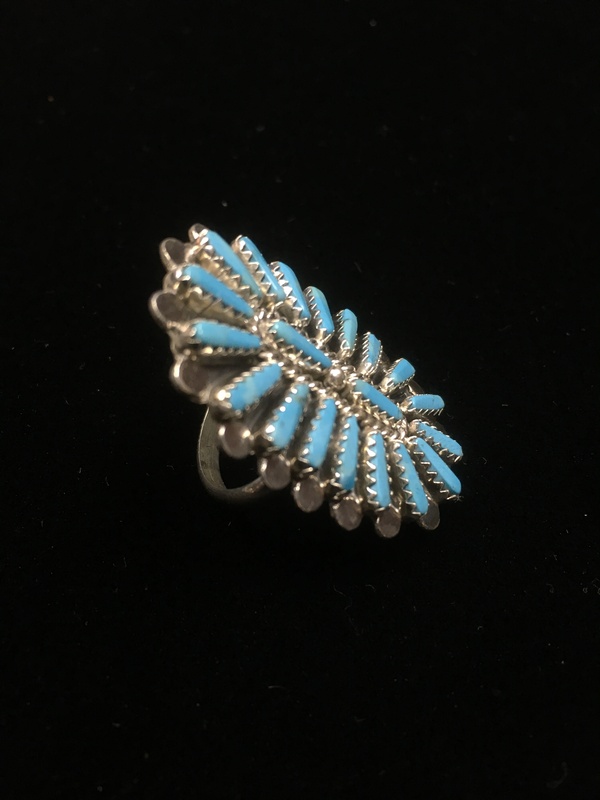 Navajo Artist B Turquoise Ring is a classic Navajo Native American statement ring with nice blue Turquoise cluster stones and Sterling Silver.